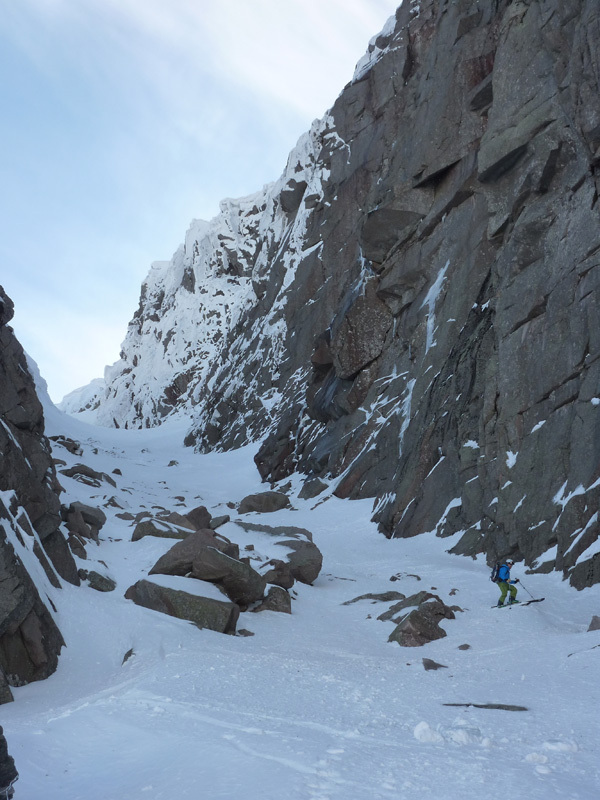 From a skiers point of view, the large north facing granite cliff of Creag an Dubh-loch is dominated by the wide slot of Central Gully. 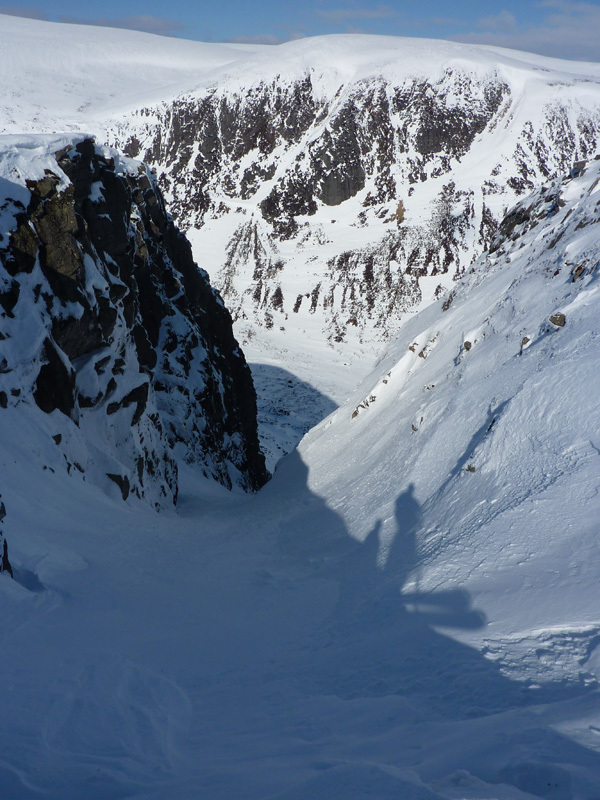 With the foot of the cliff relatively low, the runouts may often be too rocky to justify a descent, but if there's enough snow, it's a superb place to ski. 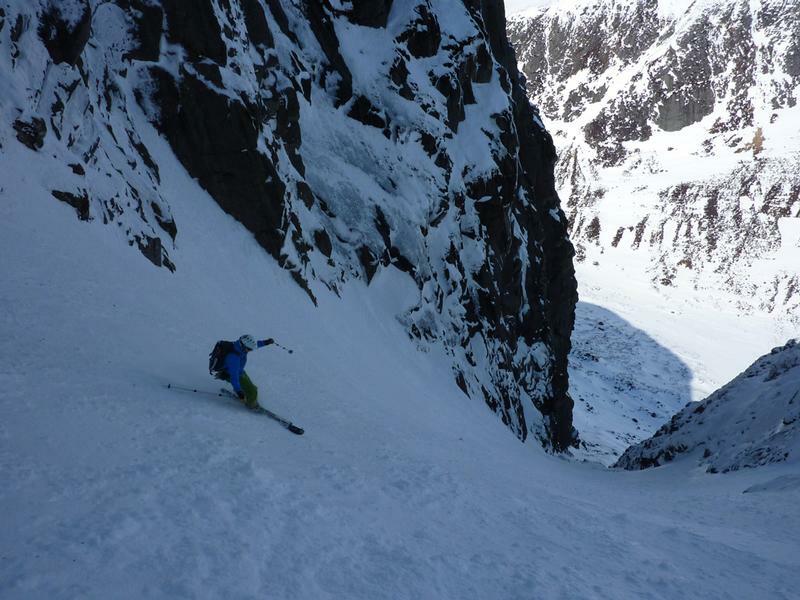 Central Gully is the main objective, but South-East Gully is a worthy companion. There are also a couple of gullies on Eagles Rocks, facing Creag an Dubh-loch that look straightforward in the right conditions. 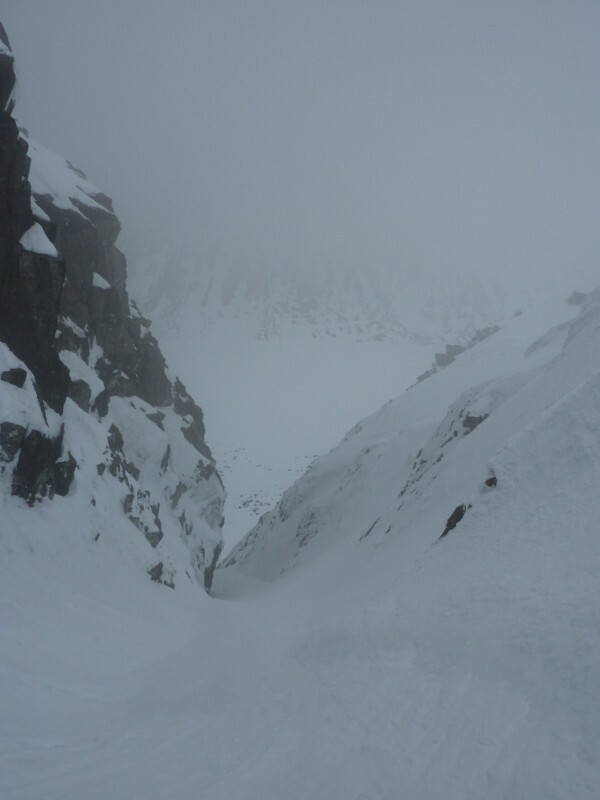 There is one relevant Scottish Avalanche Information Service forecast for Creag an Dubh-loch. 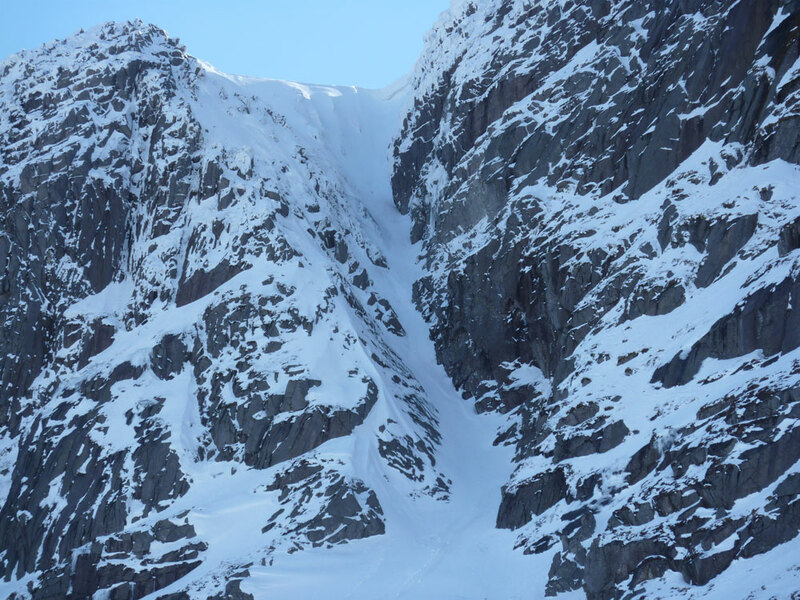 This deep, wide gully is an obvious target for skiers. 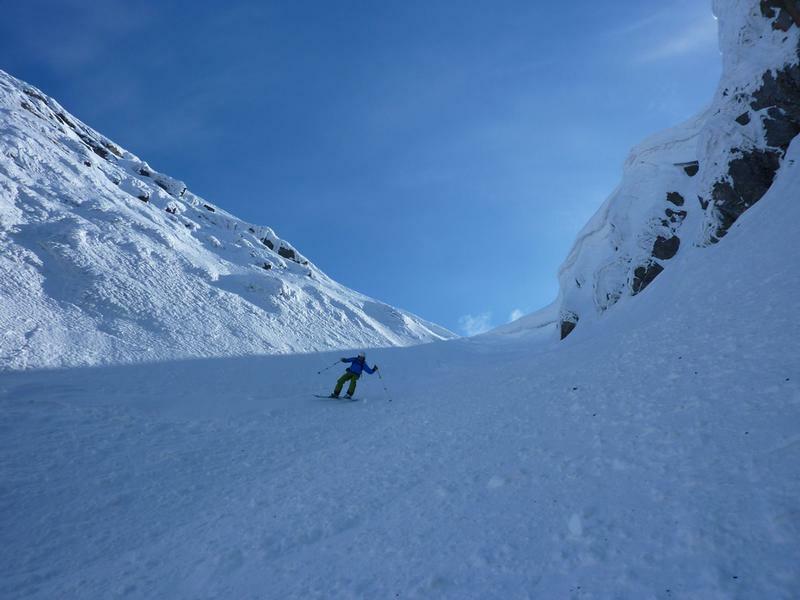 With a cornice that is usually passable on the skiers right, the angle eases immediately below the cornice providing lots of room to make turns at a relatively mellow angle. There are some huge boulders guarding the mouth of the gully, and due to the low altitude, they are rarely covered, so be aware of that when descending. 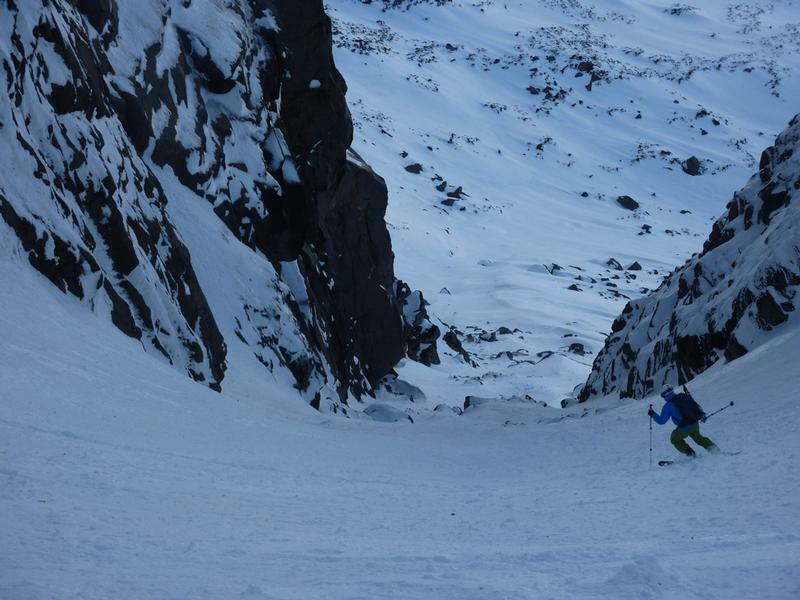 A shorter, narrower and more difficult companion route to Central Gully, South-East Gully is less often in condition from a skiing point of view. 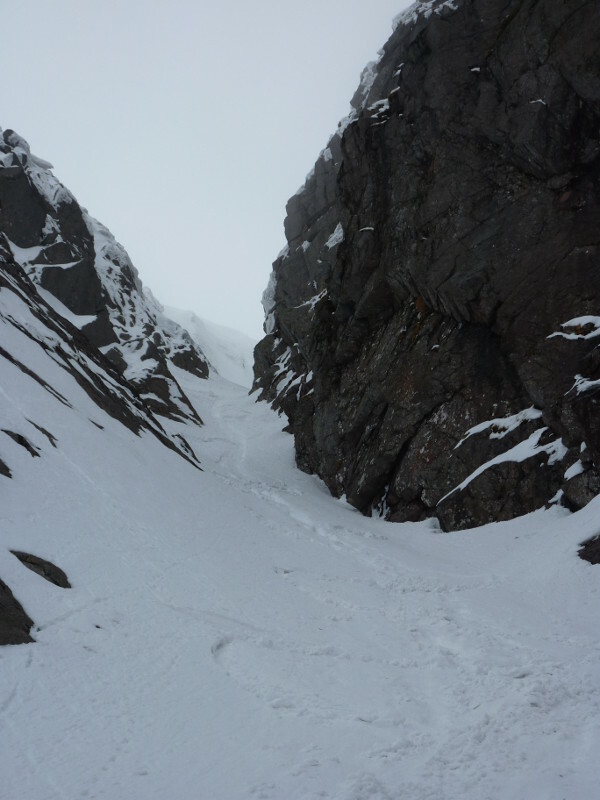 In lean conditions, it is a narrow runnel of ice, and requires a reasonable build up before being in condition to ski. 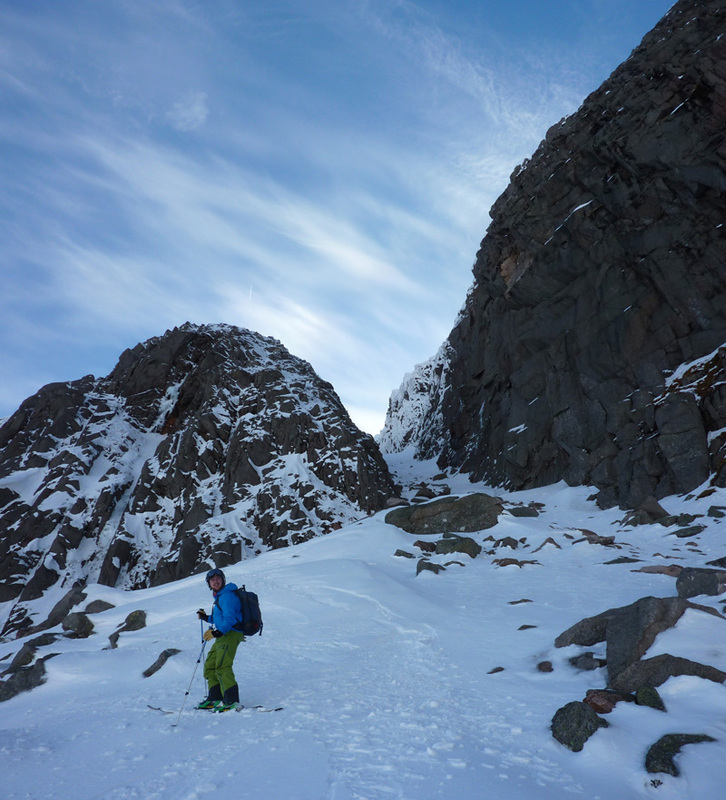 The entry to the gully is likely to be intimidating, but should be possible a few metres below the entrance to the gully on the East side, by traversing back in above a small drop to below the cornice. Once in the gully, it is narrow, but straightforward, with a little steeper section lower down, before opening up onto the debris cone below. Notes: Steep entry, then narrow, but straightforward.